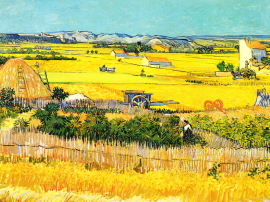 I will introduce the excellent work of the transition and the timing of the painting style of Van Gogh, while following the life of Van Gogh,. Uponentering the room, there is a bed to the right. Along the wall to the right isa chair, table with water on it, and a window overlooking the street. The wallon the left has another chair and the door to the second bedroom. 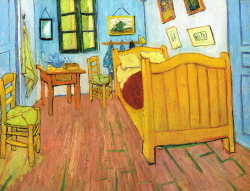 Bedroom inArles shows Van Gogh’s knowledge of color theory with oranges against blues,and red and greens. 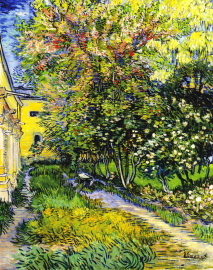 Inspired by the Japanese prints that Van Gogh studied, heomitted shadows from the picture. The lack of shadows, along with the distortedperspective, makes some of the objects appear to be falling or not steady. Thisis not entirely a result of working fast or a lack of skill. The odd angle ofthe far wall results in the furniture not aligning squarely. 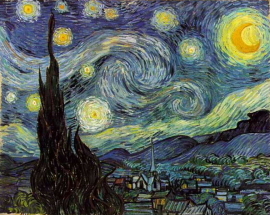 Van Gogh mustVanGogh must have liked the picture. In the letter to his brother he included asketch of The Bedroom and then the very next day he wrote to Gauguin andincluded a sketch with that letter too! 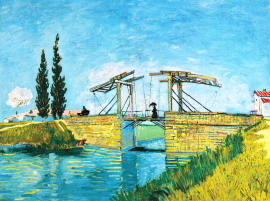 The painting he sent to his brother wasdamaged from a flood so he revisited the subject and painted it again the nextyear when he was in Saint-Remy. 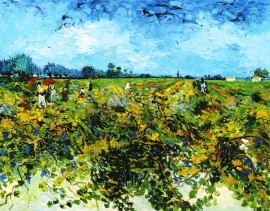 Then, still wanting to explore the subject,painted a third version for his mother. In all three paintings the compositionis almost identical with minor changes to details and color. 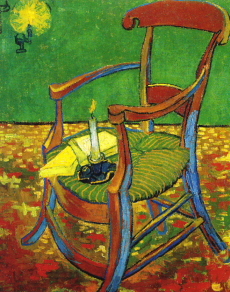 VanGogh painted this still life in the psychiatric hospital at Saint-Rémy. Heviewed Irises primarily as a colour study, and he painted the luxuriant bouquettwice. He set out in this version to achieve a powerful colour contrast, whilein the other still life he pursued the opposite – a soft, pastel effect. 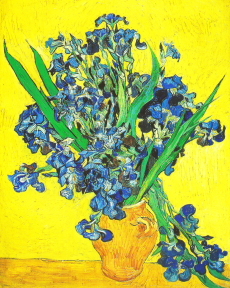 Theflowers are placed against a uniformly yellow background, making them stand outeven more strongly. The irises were originally purple, but the red pigment hassince faded, turning them blue. 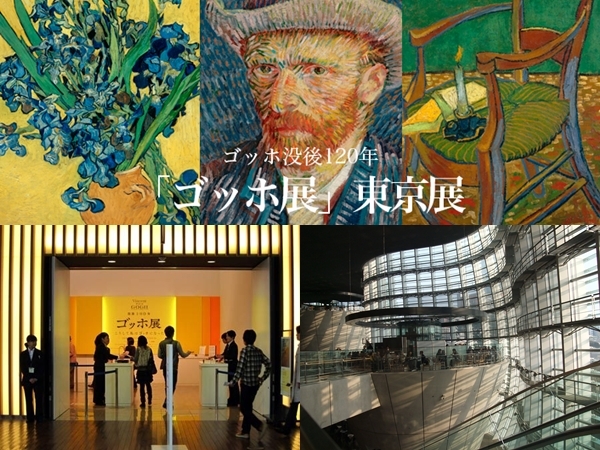 タイトル : ゴッホ・炎の旅路 [Helene Kröller Mül..